I love a good face mask. There's nothing more relaxing than rubbing your face in goo then sitting waiting for it to harden. OK so maybe I don't enjoy them to much simply because I'm impatient, but I can see a huge difference that they make, so for the blog I decided to give myself a pamper. My skins been breaking out since I stared using Mac studio fix fluid, these delightful little spots popping up just before im due to go out in public for a Charity day fund raiser. Especially when I'm there due to being labelled a beauty queen at a pageant a few months back. 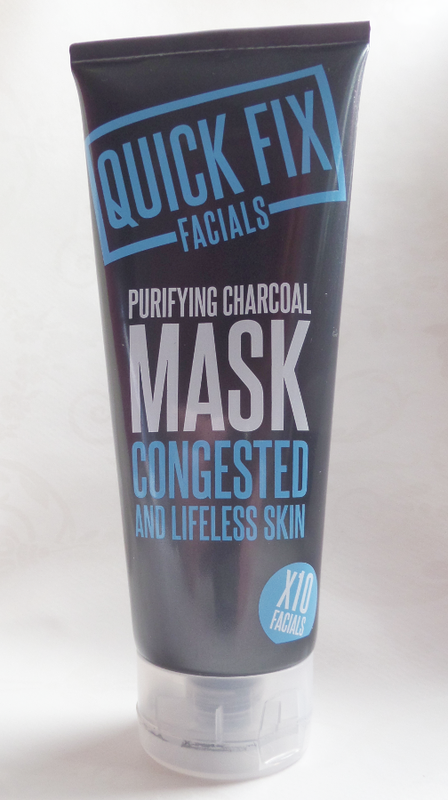 So rushing to boots I came across this little product at half price. Iv been reading a lot about charcoal recently, so I decided to give this ago. Iv used it about 4 times now and there is still plenty left in the squeesy tube, so I can see this lasting far longer than the 10 facial claim. Who ever came up with putting face masks in tubes is a genius. I always use that little rip open packets and feel like I waste half the product. But this is just perfect and none of my product is wasted or goes dry in the tube. As for how it worked I have to say I'm really impressed. Each time I use it my skin feel smooth and calmer. It also doesn't overly tighten when it dry s on the skin which I really don't like about some clay masks. It also has a lovely smell of cinnamon which I realise can be an issue if you have skin sensitivity so I do recommend doing a test patch first. I notice it tingles slightly on my skin. Next day I do think my skin looks a little bit better, it is calmer and more uniform in colour. As for the break outs they are leaving me quickly and you cant tell where some of the spots have been now. Would I repurchase this? I think I would but I would love to try more of there range out first. At £2.49 a tube at the moment is is defiantly the time to experiment before they go back up to £5 a tube - which I would pay anyway because the stuff does go a long way. What is your favourite skin mask? Or have you tried any more of this range? Id love to know so leave em a comment down below. 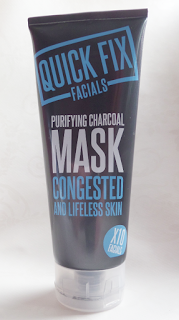 I'm dying to try a charcoal mask! I've had my eye on the Origins one for a while but this sounds like a perfect one to begin with and see how I like it! And the price is insane, I will have to grab it before the price goes back up! It really is such a fantasic price! Im going to be loading up on them too.